There are hundreds of different ways to make a weed infused bruschetta. A bruschetta is an Italian dish usually involving a mix of olive oil, bread, tomatoes and garlic, but there are many different variations. 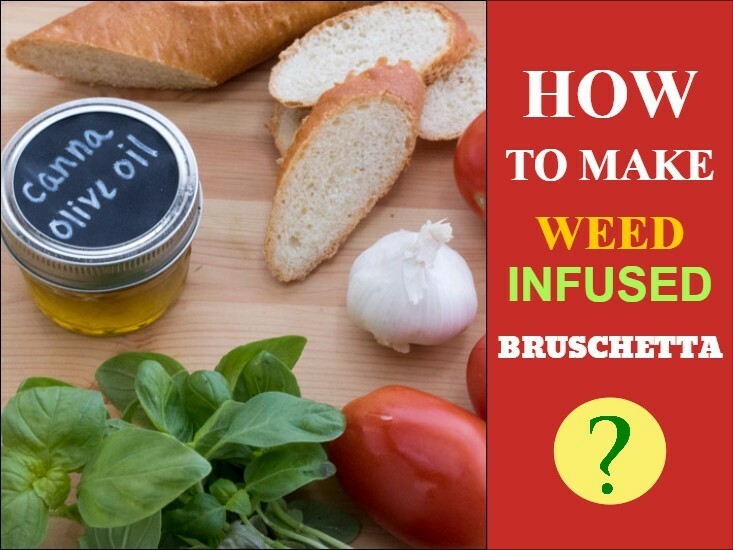 You can simply make your bruschetta the way you always make it with the addition of cannabis infused olive oil instead of regular olive oil. Or you can even grind up the weed very finely and sprinkle it on your vegan bruschetta. We could well see some fine-grained marijuana on the shelves soon enough, right next to salt and pepper! This recipe has more ingredients than the typical bruschetta dish. If you are making weed infused Bruschetta, then you may as well make the best one that you can. Slice the ciabatta and arrange onto the baking tray. Put some of the medicated oil of your choice onto each slice and put the tray into the oven. Cook at 350 degrees Fahrenheit for 3 minutes. Remove from the oven and place sliced tomato pieces on top of each of the ciabatta slices. Bake for another 5 minutes at the same temperature. In a mixing bowl, add brown sugar, minced garlic, onion powder,Dijon mustard, salt and pepper. Once smooth, add some medicated oil and balsamic vinegar to it and stir well. Drizzle some balsamic vinaigrette on top of the tomatoes and then add a tablespoon of pot pesto right on top. Your Italian bruschetta is now ready to eat. You are getting all the benefits of a vegan dish with garlic, tomatoes and marijuana for the ultimate health boost. A tasty and easy snack for any evening or occasion.